The Incredible Road to Hana... and Beyond! Join Valley Isle Excursions for a day of fun and adventure while touring the famous Road to Hana and you'll be in the hands of Maui’s best driving guides. Valley Isle Excursions’ Luxury Road to Hana Van Tours are hosted by professional guides who share more than just beautiful scenery and an experienced hand behind the wheel; they are incredibly knowledgeable about all things Hawaiian. When your day is complete, you will have received legends, history, stories, and personal insights to give you a real sense of the Hawaiian culture. What makes Valley Isle Excursions unique? 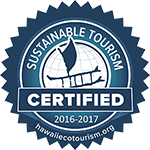 Book your Road to Hana Tour TODAY! Throughout the day, about half the time is spent outside the van at various stops including beautiful waterfalls, the spectacular lava formations of Keanae; Wailua overlook; the black sand beach at Waianapanapa; Hana Bay; Hana Flower Gardens; Hana’s Wailua Falls; and Oheo Gulch. Valley Isle Excursions is the only tour company that takes you past Hana all the way around the southern part of East Maui, returning via Kaupo so you can experience Charles Lindberg’s grave and other interesting sights. Valley Isle Excursions is committed to reducing its environmental footprint by using environmentally-friendly cleaning supplies; recycling drink containers that are provided on the tour; avoiding plastic and styrofoam when serving our picnic lunch; customizing the vehicles and providing extensive training to the drivers, and educating them on how to be extra fuel efficient. Even the leftover ice from the coolers is re-used to water the garden at their van base-yard. Tours start in early in the morning and hotel pickups are available from all major locations on the island as well as from your cruise ship (by prior arrangement). After all the guests are picked up you will make your first stop of the day in Kahului where will enjoy a light, Hawaiian-style continental breakfast featuring local jams, jellies, produce, and a lovely view of the West Maui Mountains. Valley Isle Excursions’ Comfort Cruisers are equipped with reclining captain's chairs (no uncomfortable bench seats allowed!) and are higher off the ground than normal vehicles, so you’ll see more from the elevated vantage point of one of Valley Isle Excursions’ Luxury Vans than you will from a rental car or jeep. Guardrails are in place in most places along the Hana highway. Unfortunately for those traveling in automobiles, they are just high enough to block your view if you are sitting in a regular jeep or rental car. Once out on the road, you will pass some of the most stunning scenery imaginable along 52 miles of road with 617 hairpin curves and 56 narrow, one-lane bridges. There are countless waterfalls created by the 56 streams that must be crossed on the road to Hana. In many cases, those without tour guides tend to stop at the first few bridges and spend a lot of time at them. Although they may be tourist magnets, they’re not the best waterfalls to be found on the road to Hana. When you ride with Valley Isle Excursions, your tour guide knows where the best waterfalls are and will maximize your time at those falls. Local knowledge is so important because “the best” waterfalls change depending upon the amount of rainfall in the previous several hours at certain altitudes. Only someone who is intimately familiar with the area can predict which waterfalls will be the best to visit on a particular day. Moreover, your Valley Isle Excursions guide is trained to modify the tour according to the unique preferences of the group they are leading that day, so every day is slightly different. After viewing the best waterfalls, stopping at Keanae Peninsula, and visiting Wainapanapa State Park, it is time for a delicious, hot, buffet-style BBQ picnic lunch served on a white linen tablecloth with real china plates and silverware. After lunch, it is on to Oheo Gulch in Haleakala National Park. Other tour companies bypass this incredible stop on their Road to Hana Tour but Valley Isle Excursions’ tour guides love to take people here. If you really enjoy hiking and exploring, let your driver and guide know that seeing the Pools at Oheo Gulch and taking a hike up the gulch itself are your biggest priorities. Because the groups on tour with Valley Isle Excursions are quite small, guides can be pretty flexible about how long the group stays at each Hana stop to help maximize your experience. The famous Road to Hana is a must-do adventure on Maui and may be a once-in-a-lifetime experience for you. Don't trust your trip with just any tour provider- book today with our friends at Valley Isle Excursions. Space is LIMITED!! 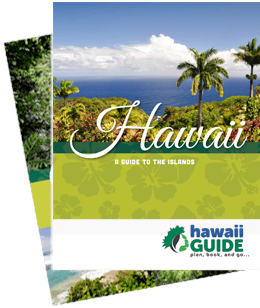 Book your 'Road to Hana' tour today! This content is sponsored by Valley Isle Excursions. Guide of US is a travel destination media and marketing company that receives compensation from companies or organizations whose products or services are promoted on this site. We review and evaluate the services of each company to ensure they meet our highest quality standards for travelers. We are independently owned and any opinions expressed herein are our own.